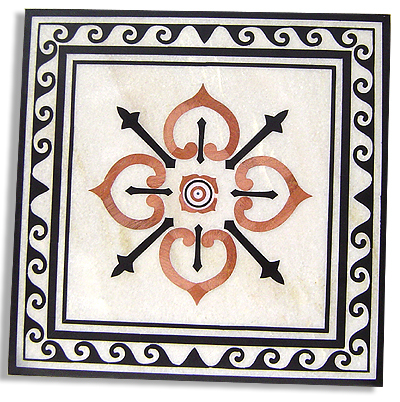 Wall Panels, Marble Inlay Panels, Wholesale suppliers of Indian marble Handicrafts, Exporters & manufacturers of Inlaid Products. Monarch Crafts brings a beauty of Taj Mahal in your interior. 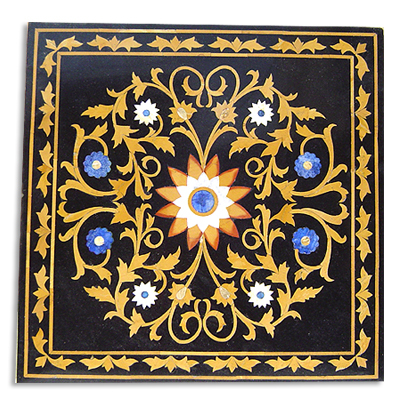 We are glad to launch our exclusive collection of marble Inlay Panels. We are India based company, having a factory in Jaipur, the pink city of India. One of the leading manufacturers in Rajasthan, the land of art & crafts. Our inlaid panels are very popular around the world. they can be used on walls, galleries, hotel receptions, drawing rooms etc. Enliven your living room, drawing room, lobby, hotel rooms, receptions, conference halls, apartments etc. with these panels. Let these panels be a mirror of your great aesthetic sense. 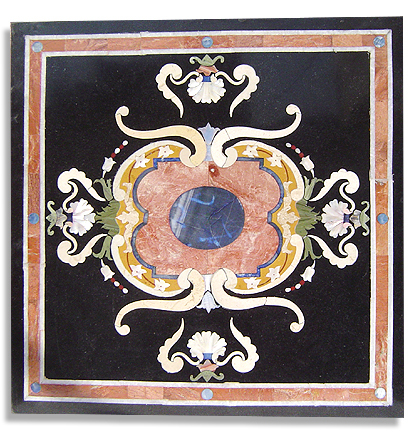 These panels have been inlaid with stones in complementary colors on White Marble & Black Kudappa Stone. 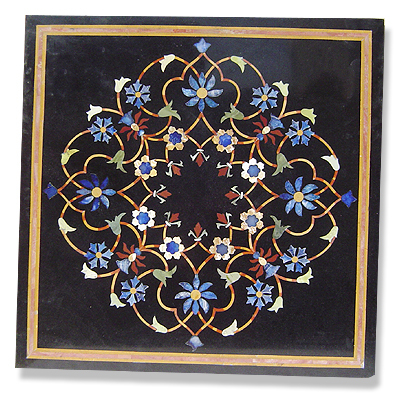 Description: Black stone panel with inlay work. Description: White marble panel with inlay work.